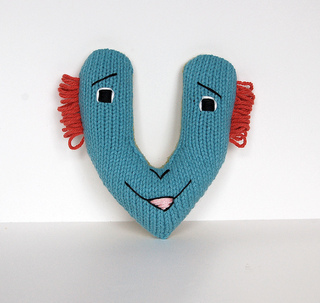 Vincent is fun to make and a quick knit! Simply knit two halves and sew them together with some stuffing inside. Then add facial features and hair to create a unique personality; you can follow my directions, or feel free to “knoodle” with new hair styles and expressions. Just for kicks, I made each half of my model a different color and then created a distinctly different mood on each side. 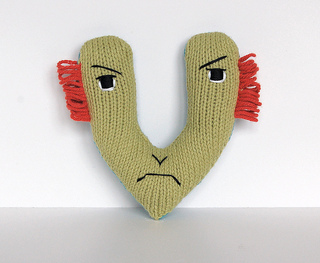 The pattern is written for a single-color body, but you can do anything you want with it! Vincent is an original pattern by The Knit Knoodler.